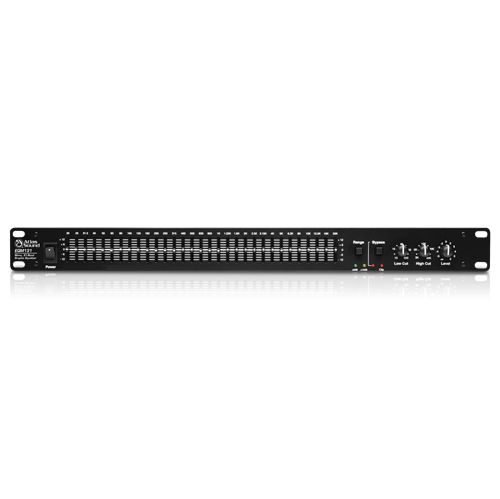 The EQM131 will provide basic system equalization for sound masking or general public address applications at an amazingly affordable price. 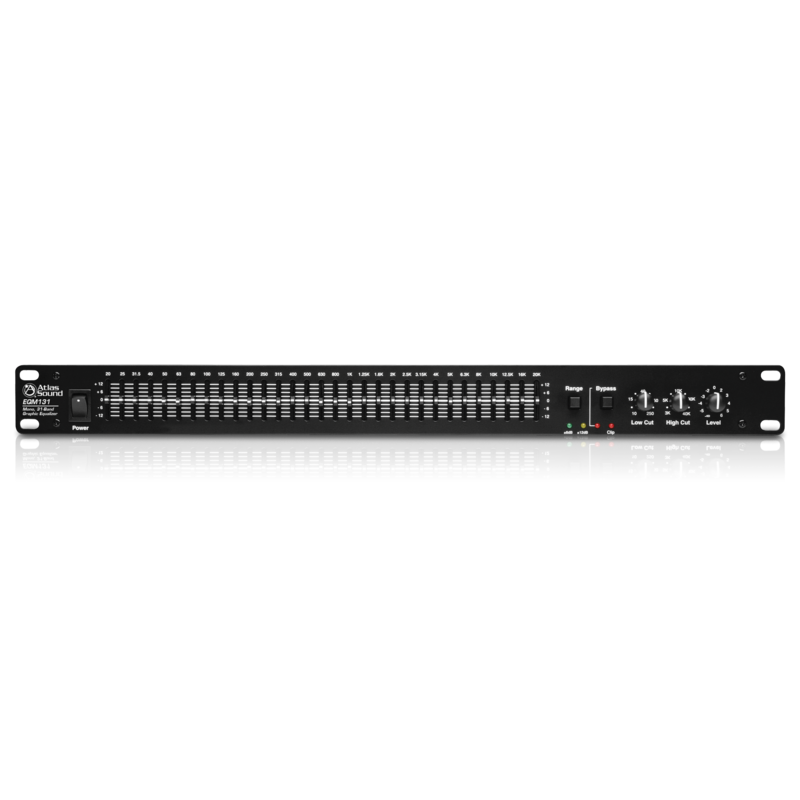 The 1RU tall EQM131 is easily connected to any system via rear panel balanced TRS and XLR jacks. Unbalanced RCA connections are also provided for use with -10dBV equipment. Front panel mounted LPF/HPF and level controls are provided along with a switch for +/-6 or +/-12dB operation and 31 sturdy 20mm filter slide controls. The ISO centered 1/3 octave bandwidth-constant Q filter design minimizes interaction between filters yet is still wide enough for creation of correction curves. 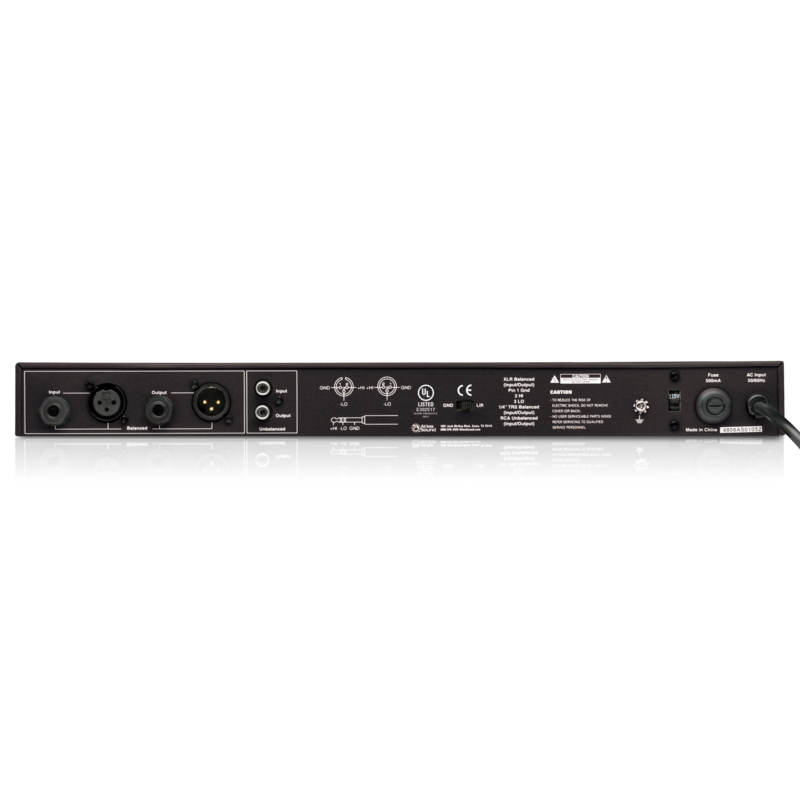 When used with the AtlasIED AA120M mixer amplifier and AA-SMG sound masking module, the EQM131 can be used to create a 1/3 octave masking spectrum which is fed directly to the AA120M amplifier section. 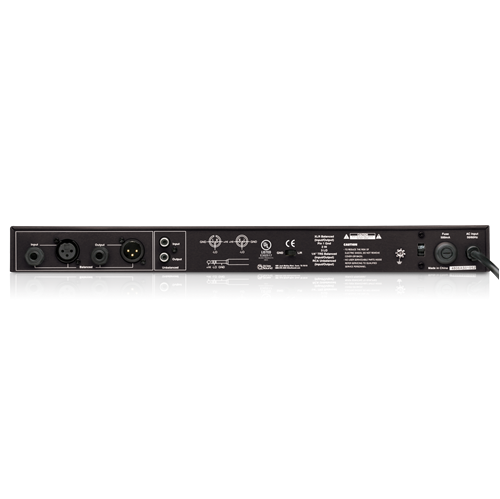 Paging or music inputs can receive high frequency shelving equalization for better intelligibility from the AA120M front panel controls. The page/music inputs and masking module output can then be summed without affecting the masking source spectrum equalized by the EQM131.